Despite huge opportunities in the plus-size fashion market, this sector remains an largely underserved sector in the retail industry. Plus-size departments both online and offline are often neglected and limited when it comes to on-trend pieces, tailored clothing and luxury apparel. Research from marketing intelligence agency Mintel stated that the UK plus-size market is expected to climb to about £6 billion in 2015, up from £3.81 billion in 2008. Additionally, in the US, the plus-size market generated around $17.5 billion in sales between May 2013 and April 2014, a 5 per cent increase from the previous year, according to market research firm NPD Group. One European company that delved into this space early on is Navabi, an online fashion retailer co-founded by Zahir Dehnadi and Bahman Nedaei in 2009. Since then, the company has grown to a team of more than 150 people and trades in more than 30 countries with their core markets being Germany, France and the UK. The company is headquartered in Aachen, Germany and has an office in London. Earlier this year, the plus-size fashion e-commerce firm announced €25 million worth of funding, which consisted of a cash investment and advertising budget with Bauer Media. We caught up with two co-founders recently to chat about the gap in the premium plus-size fashion market, Navabi’s latest investment and why two friends from Aachen decided to tackle this segment. If there’s so much potential in the plus-size market, why are many retailers ignoring or struggling to compete in this growing category? Perhaps it has to do with the negative perceptions of this market that are still quite prevalent within the fashion industry. Dehnadi, co-founder and co-CEO of Navabi, said that before launching the company, several industry experts he talked to were in the opinion that plus-size women were uneducated and took a utilitarian approach to dressing. “We talked to many industry experts and their view was a bit like, ‘You know, plus-size women don’t really want fashion, they just want clothes, because they’re not so educated and they don’t have so much money. That’s why we just give them clothes,” he told us. These days, Dehnadi is noticing a huge change in mindset in the general public and strides being made in the right direction in the fashion industry. Increasingly, more brands becoming aware of the needs of the plus-size fashion market and the media is also beginning to embrace more size diversity. In February of this year, it was announced that a plus-size model, Ashley Graham, would be featured in the pages of Sports Illustrated’s annual swimsuit issue – for the first time ever. In the past couple of years, retailers such as ModCloth, ASOS and Mango have forayed into the plus-size market and more plus-size e-commerce businesses have also emerged. So what makes Navabi stand out from other players in this space such as such as online plus-size retailer Eloquii, American retail chain Torrid or UK women’s clothing retailer Evans? Still, it’s slightly peculiar that two childhood friends who grew up in Aachen, Germany become so fascinated by the plus-size fashion realm. Especially, since the issue of finding plus-size women’s clothing was not a problem Dehnadi and Nedaei faced themselves. 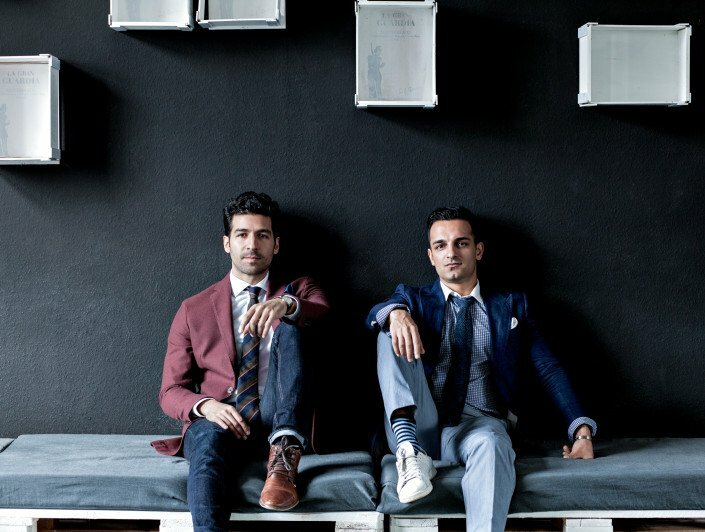 Both serial entrepreneurs, the duo started their first company in high school and were always scoping out new business ideas. In 2008, Nedaei began helping his aunt, named Navabi, sell items from her designer-clothing boutique on eBay. “Suddenly, we received love letters from all over the world. We were surprised because we were simply putting stuff from her shop onto eBay,” explained Nedaei. After some analysis, they realised that the feedback was coming from customers who had purchased certain brands and sizes. That’s when it clicked. “It was our first surprise moment… We asked ourselves why customers from Australia were paying a hundred euros for shipping… Why was no one else catering to this? We thought, ‘There must be a problem,” said Nedaei. Although the two co-founders insist there was not lightbulb moment for Navabi, this moment was the closest thing to a spark for starting the company. “We thought we might have found something where we could make millions happier, if we built a great company,” added Dehnadi. 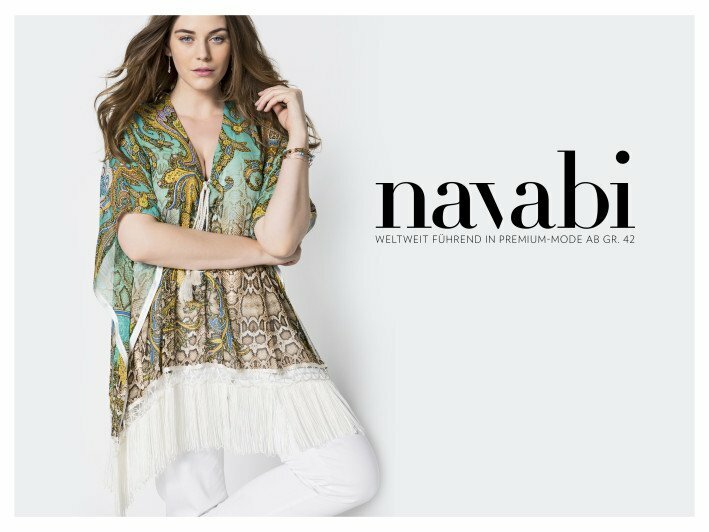 When asked about Navabi’s revenues, Dehnadi declined to disclose any numbers, but said, “We are growing very strongly.” A press statement from January 2015 stated that the company is growing, on average, 120 per cent per year. As for the future, Denahdi and Nadaei told me that one thing the Navabi team is focusing on at the moment is creating their own brands, because customers seem to be responding well to it. Other than that, once they’re “highly profitable in Europe”, the company will set its sights on the conquering the US.